TULUM, Q. Roo — To carry with you a mobile phone or tablet is just the most common thing to do these days, especially if you’re on vacation. 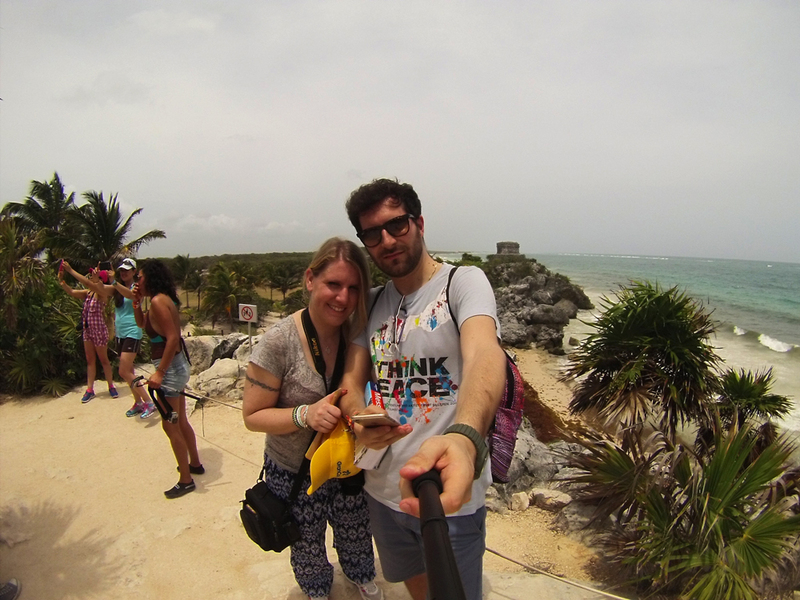 “Selfies” with the Caribbean sea or Maya archaeological monuments in the background are taken by the millions. But starting this year, snapping photos will have a cost. “The charge for the use of cell phones, tablets, GoPros and still cameras or amateur video, within the premises of archeological sites, has generated controversy and anger among tourists, especially domestic”, said Julio Villagomez Villalobos, tourist guides’ representative at the archaeological site of Tulum, Quintana Roo. This cost was supposed to be included in the new approved 2016 rates, but according to Villagomez, to condition or restrict the use of cameras is not the best decision, since these technological devices are the best tool for free advertising there is. “The rate is 45 pesos per device, additional to the 65 pesos ticket, which hits directly on the national traveler’s pocket”, he said. This new charge has been published in the Official Gazette (Diario Oficial) and approved by the Secretariat of Finance and Public Credit (SHCP). The tourist guides’ representative mentioned that this measure might result in a decrease in the number of domestic tourists. In regard to the number of visits to the archelogical site of Tulum during the first days of January, there has been a big drop. As opposed to the 10,000 or 15,000 people in late December, only around 3000 visit the site these days; and only a small percentage requires the service of a tourist guide, he said. 45 Pesos = 2,25€ per “device”? Means two people with smartphones + Cameras = 310 pesos instead of 130?